The weekly section of the Torah, “Beshalach,” tells us about the spies that Moses sent to the land of Canaan, the future land of Israel. This is a trick on the Creator’s part who constantly sets different traps for us. On the one hand, He seems to tell me, “Send the spies,” but how can I send the spies if I am ready to follow the Creator with my eyes blindfolded? Thus, despite this inclination and my internal desire to follow Him, I must invoke different egoistic desires inside of me that are called “the people,” and send the strongest and most skilled spies before me so that they will see what the Creator prepares for us in the land of Israel. How can that be? The Red Sea was split before us, and we were not afraid to go through the desert and reach Mt. Sinai, and here he tells us, “Check out in advance what has been prepared for you,” despite the great, previous yearning and our close relationship. This is the other side of the coin. It is time to fight the great egoistic desires in the land of Israel, and if we beat them, we will acquire a new spiritual level. 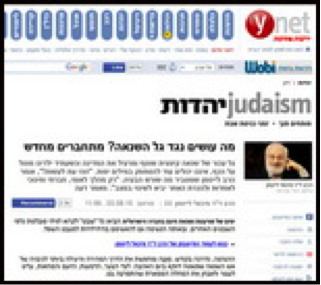 Following the latest events of hatred, Rav Laitman wrote a special article for Ynet. “A murky wave of extreme hatred washes over and poisons the country. There is no tranquilizer that can subdue the pain that is for years already gnawing at the body of the nation, and even if there were such events, at most it would neutralize the warning light that is warning of the impending dangers of existence. Only national, social, and educational action for unity and recognition of others will change the situation. “The days of misfortune and hatred in the Israeli society brought each ‘tribe’ to call for tolerance of the other tribe, and in the same breath accuse them for the deterioration of our deplorable situation. “The leadership, as usual, protects and searches for the fastest and most effective way to put out the fire of hatred that specifically spread on the day of love. On the side of grief, the tears, the anger and protests, we must stop and examine the cancerous disease that has broken out in us. For this there is the need for a healthy and balanced intellect. There is no use to try to cover up or sweeten the situation. We need to look the problem in the eye, to analyze it, and get to the root. and find the source of the disease. And when we get to the root, it will be easier to find the cure. “The disease is the lack of connection between us. The society is divided into innumerable tribes, which makes it very difficult to build a bridge connecting the differences between us. With the dizzying pace of fast growing conflicts, one should not be surprised if tomorrow these will raise knives against those, and those will sit with rifles against these. “The wisdom of Kabbalah feels that the separation comes from the out-of-control ego. It is our nature, it is ‘evil from its youth,’ and as it develops it increases day by day. There is no need to invent a new magical formula for dealing with the erupted ego, since it already exists in the foundation of the nation of Israel. It is the same system of connection and love of brothers that Abraham our father from ancient Babylon taught us, and on this basis we were established as a nation. “The wisdom of connection that Abraham taught was how to work correctly with the evil that grows between us. Using a systematic method, it builds new angles of perception towards others, which brings mutual connection, which is good and encouraging in all aspects. The treatment is to balance the force of connection over all evil that is revealed between us. The evil that is awakened calls us to connect more as a group, to study, to build bridges of love above all differences of opinion. What Is the Law of Mandatory Connection? “I suggest starting a national, social, and educational process for connecting and caring for others. I would be happy to see a government program that would require from each of the nation’s citizens to learn to connect to others. Each one would be familiar with the other’s story and experience practical workshops that provide tools for creating the correct connection with others and correct behavior for society. “We are speaking here of an educational process for the entire society, with whose help we will get to know ourselves and the surroundings we live in, and all share in the knowledge that will create shared awareness and the sense of belonging to a single whole. 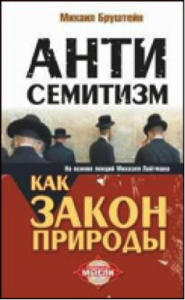 In the News (worldcrisis.ru): “As far as it seems, Zionism has become obsolete and I don’t think that the world needs it anymore, as the nation state of Israel. The Rothschild family and the like simply used Zionism as an ideology for self-enrichment, so the Jews were only necessary material for them. “An analysis of events from the last few years shows that they have already handed over Israel, handed over Zionism. Their plan and most important task is Israel and millions of other Jews to be annihilated. Since the beginning of the new millennium the rumors began that they were ‘discarding’ Israel. “America still supports us, because their interests demand their permanent presence and influence in our area. So that they will maintain their interests, they have stood on both sides of the conflict in the Middle East and have not been interested in its solution. But today, the circumstances have changed, America has had enough fun and world support for the Palestinians has grown, whereas support for Israel has decreased. My comment: Everything depends only on us, on the people of Israel. After all, we are the only ones who are determining the state of the world! So it is necessary to see all the external pressure on us as pressure from Above to connect and unite. If we can implement unification, or at least the trend and tendency towards it, then before the eyes of the whole world, the situation in Israel and the entire world will be changed. “The new report by the United Nations Commission rejects the right of Israel to self-defense. Only last year this society of anti-Semites called the United Nations, accepted 20 resolutions condemning Israel, and not even one against other nations in the Middle East. The United Nations is a world organization for ‘human rights’ in which Iran is a member of the committee for equal rights for women, Sudan oversees the preservation of human rights, Syria is at the head of the Human Rights Committee, in which Cuba, Venezuela, Russia and Saudi Arabia are also members! That is the United Nations. My Comment: The United Nations is held out to be the representative of all the nations of the world that openly say to our face that we are to blame for all human disasters! And they are right! Our Torah tells us the same thing; all disasters come into the world only as a result of the actions of Israel. The wisdom of Kabbalah explains how through our unity, we must correct our negative and harmful influence on the world. The choice of the future world lies only in our hands, and so the accusations against us are justified. The nations of the world have no possibility of correcting the world and they express this openly with their accusations against the Jews. AST Publishing, one of the largest publishers in the Russian book market, published a book called Anti-Semitism Is a Law of Nature based on the lectures of Rav Dr. Michael Laitman, authored by M. Brushstein. From the abstract of the book: The subject of Judaism and anti-Semitism in particular haven’t fallen off the agenda from the moment of their appearance. There exist dozens, if not hundreds of reasons, for the special attitude regarding the Jews, whatever they might be. This fact indicates only one thing—the Jewish mystery has not been solved.